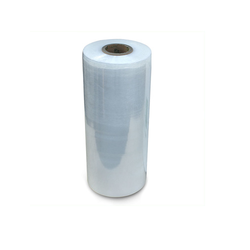 Pioneers in the industry, we offer stretch manual film, milk and water pouch film and machine stretch film from India. We are offering an excellent quality of Stretch Manual Film. Clear or color manual stretch film in hand reels for wrapping pallets. Available in one-side or two-side cling for clean pallets & improved warehouse space management. Made from 100% virgin polymers Milk and Water Pouch Film For FFS rotograveure printed 3 - layer pe films are used for filing on form-fill-seal machines . We use metallocene lldpe to provide the best possible seal strength. We can do surface printing up to 4 colors using inks having optimum deep freeze properties. these are used for filling milk, water, non - carbonated beverages like pep - cee, ghee, soya badi, free flowing powders etc. Packaging from 50 ML up to 5 liters. 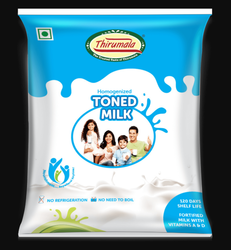 Our esteemed customers include anik industries limited, khajuraho dairy, ruchi soya, aqua care, health plus and a number of water pouch packers. In order to cater to the diverse requirements of honorable clients, we are able to offer Machine Stretch Film. The offered range of stretch film machines is made utilizing high grade raw material and highly advanced technology in strict compliance with the international quality standards. 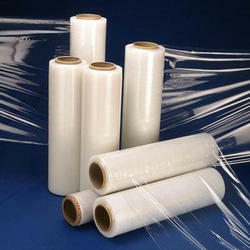 Along with this, the offered range of stretch film machines is known for reliable performance and superior efficiency.